Thanksgiving comes around once a year and is a day we dedicate to tradition, family, and eating! It can be hard to keep your nutrition goals in focus when surrounded by a feast of calorie-rich options. Thankfully, you don’t have to sacrifice your favorite holiday foods in order to stay healthy and avoid weight gain. 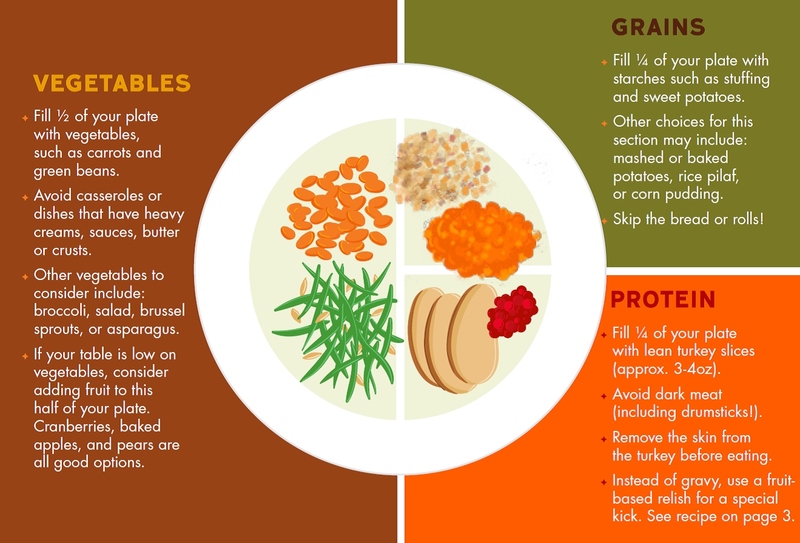 Use the portion size references below and the United States Department of Agriculture’s MyPlate guidelines to enjoy your favorite foods without overindulging, because the only thing that should be stuffed on Thanksgiving is the turkey. Follow the USDA’s MyPlate Strategy! 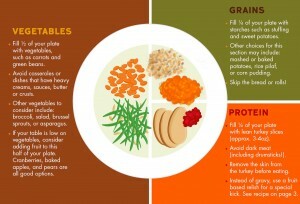 For more information on portion control ideas, go to www.choosemyplate.gov. Total Body Resistance Exercise: TRX – Get hooked!